17. 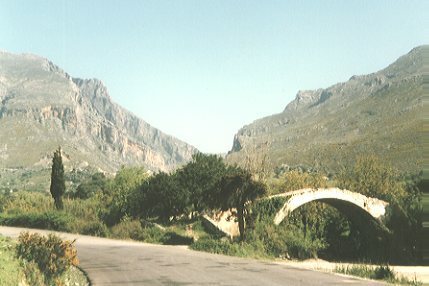 Preveli to the Lower Monastery via the Valley of Palms Walk and Cycle in Crete . 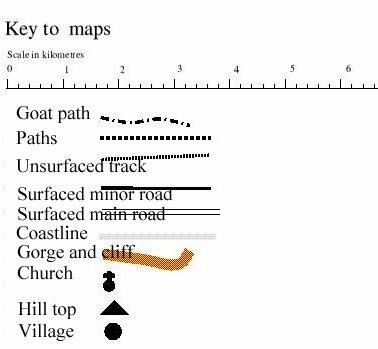 Four kilometres of paths of which one kilometre is rough and not suitable for cyclists. The valley full of wild palms is so unexpected as you peer over the cliff edge. A close approach in the valley itself can be disappointing with vagrants camped among the trees. This path makes the most of the dramatic setting. At the Lower Monastery water still flows from a carved spout within a vaulted chamber to produce a cool spot on a hot day. An attractive church stands within the courtyard shaded by vines. 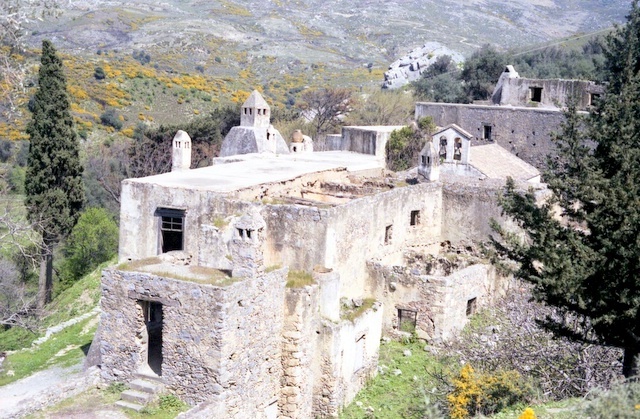 The bell of St. John Prodromos is dated 1594 but the buildings have been destroyed and rebuilt many times. Unfortunately the stone-vaulted store rooms are now used by a farmer and are no longer accessible to passers by. The kitchen has a most impressive chimney but although some repairs have been completed in recent years many of the buildings are in a dangerous condition. 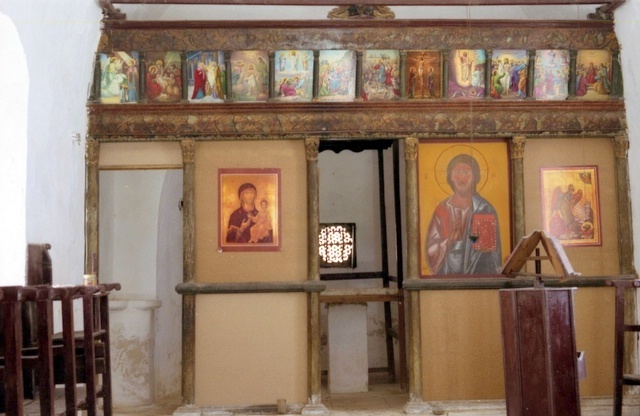 Leave Preveli Monastery by the main road heading east. 5 min. Just over the crest of the hill follow a track that leaves the main road on the right, dropping downhill onto a flatter area where it continues as a path due east to the cliff tops. 15 min. 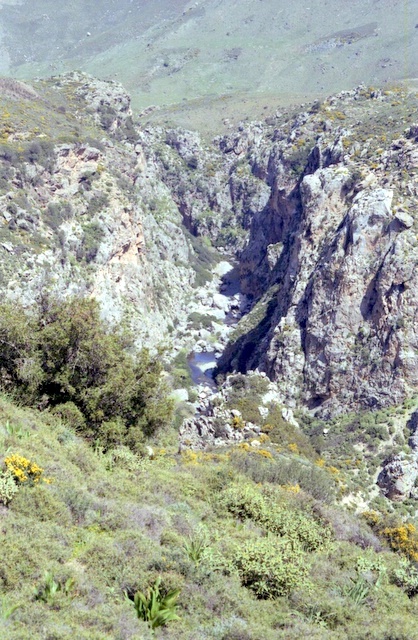 There is a well worn path down the cliff to the valley of the palms, the lower Kourtaliotis Gorge. 30 min. 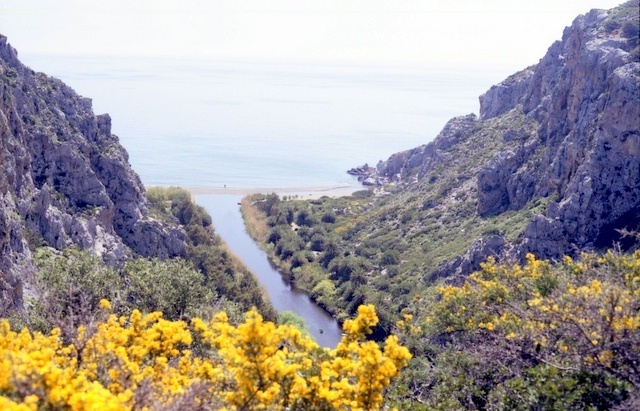 You can explore a considerable way up the gorge but you must return to this point on the cliff top. The stream here is badly polluted although full of bathers. 1 hour A path now runs north, inland, skirting the edge of the gorge giving several superb view points. If the path branches take that nearest the gorge. 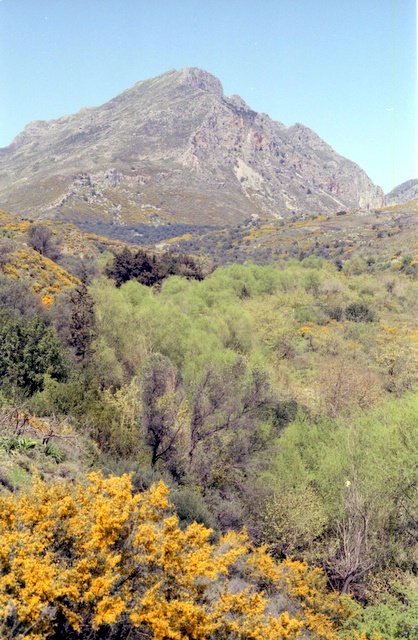 It winds through high gorse bushes before dropping down into an olive grove. A fairly spartan shack surrounded by a high wall has been built here at the inland end of the gorge. 1 hr 20 min. 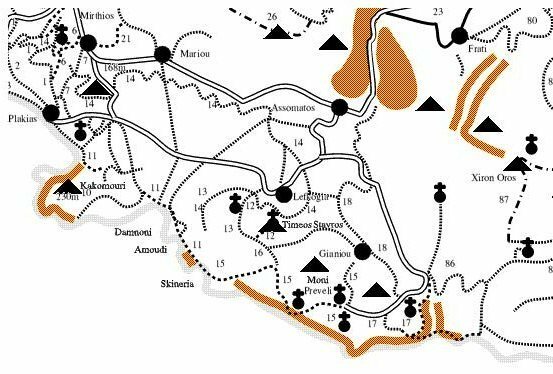 The path now follows the river inland through old olive groves, well shaded by the trees and with a lot of birds in the riverside vegetation. Continue following this track up the riverside until it reaches the road again by a high arched bridge. 1 hr 50 min. Turn left and follow the road uphill to explore the ruins of the Lower Monastery.